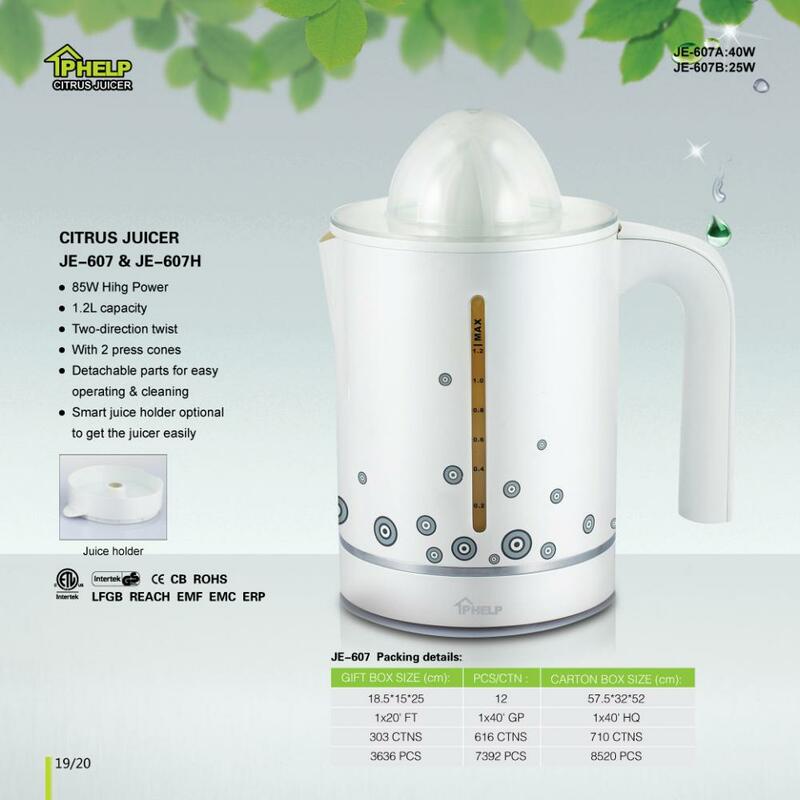 Strong Power Citrus Juicer with 85W, with or without Juicer collector tray for you to choose! All the components are made of safety plastic like PP, AS, ABS, which are totally conforms to the food standard. What's more, the function is pretty good. It has passed many strict tests to get the reliable certificates, such as GS, CE, RoHS, LFGB, CB, ETL, REACH, EMC, etc. and the sampling inspection must be done throughout the whole production process, so the quality can be assured. What's more, we provide 1 year period for the warranty of the products. The basic color is white with the capacity of 1.2L, we also can change the color into whatever you like as long as you give the Pantone No. You also can choose to print flours on the body or not. The Juicer collector tray can help you to get juice directly in your cup, Just that convenient! And it only needs very easy operation and cleaning. Thus it is definitely the best choice of your family or your daily life! 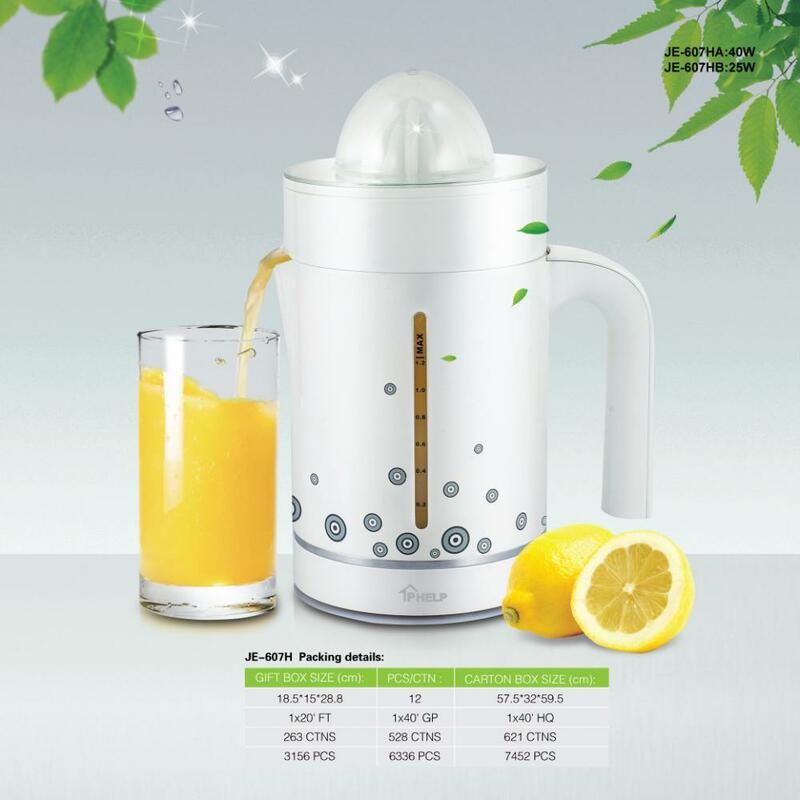 Looking for ideal Strong Power Citrus Juicer Manufacturer & supplier ? We have a wide selection at great prices to help you get creative. 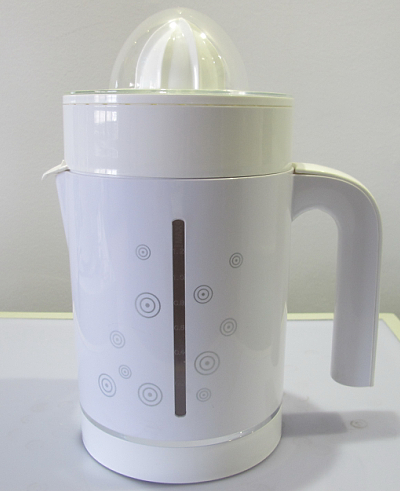 All the Orange Juicer with Big Capacity are quality guaranteed. 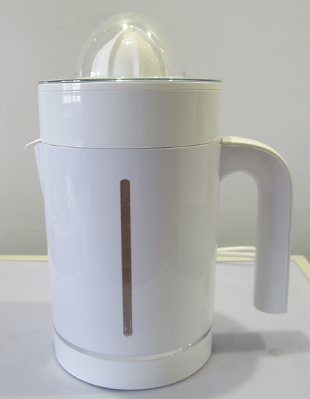 We are China Origin Factory of Citrus Juicer in Plastic. If you have any question, please feel free to contact us.